Manufacturer/Importer: GapKids, of San Francisco, Calif. Hazard: The straw hat is constructed using a thin wire within a seam. The tip of the wire can break free from the seam, posing a laceration hazard. Incidents/Injuries: GapKids has received two reports of customers who received minor scratches from the exposed wire tip. A 7-year-old child received a scratch on the leg and a 12-year-old received a scratch on the forehead. 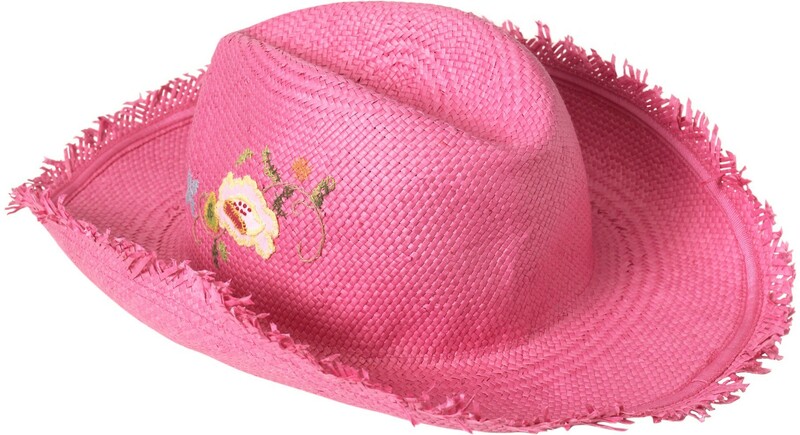 Description: The girls’ straw cowboy hats were sold in two colors, pink and natural straw, with a flower embroidered on one side and a butterfly embroidered on the other. Style number 239040 is printed on a white label sewn into the brim of the hat, under the garment-care tag. The hats were sold in sizes small/medium (s/m) and large/extra-large (lg/xl). Sold by: Exclusively at GapKids stores and gap.com nationwide from April 2004 through May 2004 for about $18.50. Remedy: Consumers should return the hats to any Gap store for a refund and a complimentary $5 appreciation card.